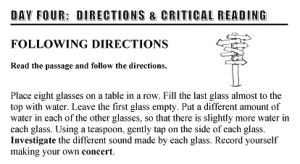 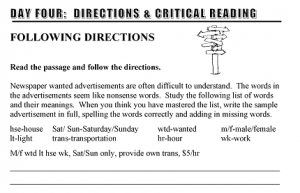 Being able to follow directions is a key component of many text books, tests, classroom work and life in general. 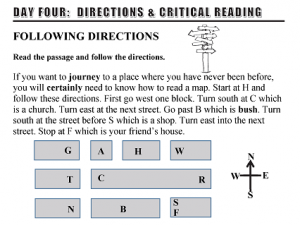 Each unit has a different type of ‘following directions’ activity ranging from developing word knowledge to constructing something. 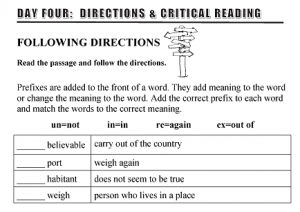 In this exercise, the student reads the passage and carries out the instructions.